Crisis-ridden Jet Airways has decided to cancel 15 flights on Wednesday following grounding of six Boeing 737 planes due to non-payment of lease rentals, according to sources. The airline, which is grappling with acute financial woes, cancelled around 20 flights on Tuesday as three more Boeing 737 aircraft were grounded, they added. In two days, the carrier has grounded six such planes following non-payment of lease rentals. The sources said the airline would be cancelling 15 flights on Wednesday, including a few flights from the national capital to various destinations. 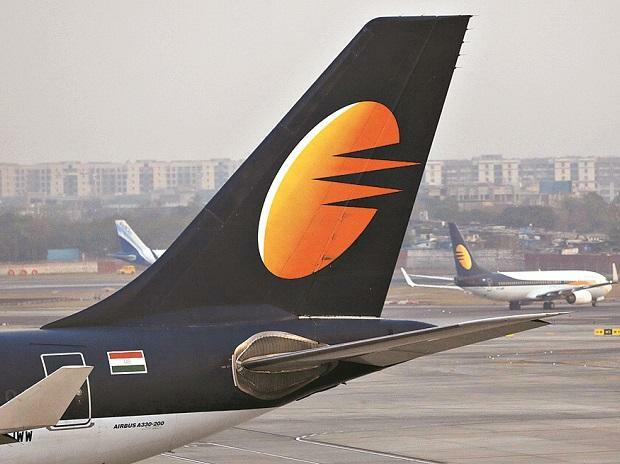 "Jet Airways has defaulted on aircraft lease rentals and it has been forced to ground three more narrow-body Boeing 737 planes," a source told PTI earlier in the day. Queries sent to the airline remained unanswered. Due to the fresh grounding of the planes, the airline, which is negotiating with its partner Etihad for additional cash infusion, has cancelled as many as 19 flights to/ from Delhi, Chennai, Mumbai, Pune, Hyderabad, Port Blair and Bengaluru, the source said. The full service carrier would be holding a meeting of the shareholders on February 21. The airline will seek shareholders' approval for conversion loan into shares or convertible instruments or other securities, according to a regulatory filing made on Monday. The carrier would seek shareholders' nod to "convert the whole or part of the outstanding under loans, extended / to be extended by the lenders, into shares, or convertible instruments or other securities, of the company...", according to the notice of the meeting submitted to the stock exchanges. The conversion will be done as per the terms contained in the respective loan documents between the company and its lenders. It would also be subject to all requisite regulatory approvals. Besides, Jet Airways will seek shareholders' approval to negotiate and finalise the terms and conditions with the lenders for raising further loans from time to time as well as provide the lenders with a right to convert such loans into shares, or convertible instruments or other securities.